With three land-based casino licenses yet to be awarded, Massachusetts will likely hold off on further consideration of online gambling legislation. That was the recommendation of Massachusetts Gaming Commission chairman Stephen Crosby on Tuesday at a hearing that scrutinized the best possible options regarding Masschusetts’s gambling endeavors. Those endeavors include a 2011 gambling expansion bill that allows for three casinos and a slots parlor to be operating by 2016. Since only the slots parlor license has been awarded thus far, Crosby said at the hearing that it would be much more prudent to consider online poker and gambling legislation only after the new casino licensees can be included in discussions. The three casino licenses will be dished out later this year. Massachusetts officials are worried that Internet gambling may eat up some of the expected revenue of the land-based casinos. And since they don’t know what that revenue will be until the casinos are up and running, it is hard to gauge the effect that online gambling will have on the anticipated revenue stream from the commercial casinos and slots parlor. Senator Stanley Rosenberg agreed with Crosby, stating that discussion of online gambling proposals would be premature at this time. The state enjoys its current revenue from lottery proceeds and has quite an investment in the upcoming casinos, Rosenberg added. Expansion into the realm of online gambling may not be a wise choice in supporting those endeavors, especially since the casinos have not yet opened. The slots parlor license went to Penn National Gaming in February with the plan that slots will be made available at the Plainridge racetrack. 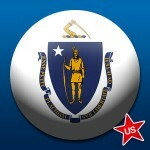 The trio of new casinos will be spread out throughout Massachusetts in an effort to avoid saturation in any one region. The commission hearing was attended by representatives from Delaware, New Jersey and Nevada, the three states that have regulated online gambling schemes up and running. Nevada and Delaware have already signed a partnership agreement in order to increase online poker player pools and are recruiting other states to join them. 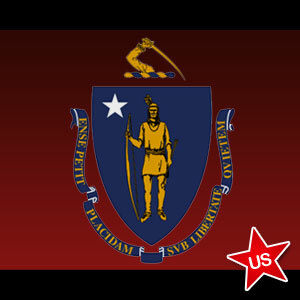 Massachusetts will apparently not be the next state to enter the online poker party, as the Bay State will likely sort out its land-based gaming situation first. The state-by-state model of regulated online gambling continues to move at a snail’s pace in the absence of federal legislation that could allow states to opt in and be up and running much sooner. But no such federal bills are close to gaining approval.